In Hamburg they say "Moin" for a warm welcome - reason enough for the label Tach & Nacht to release their already fourth compilation from the same series. Consisting of 12 exclusive unreleased tracks, the compilation includes tracks not only of old hands like Solid Slap, Folie a deux and Fabs #, but also new artists from the Hamburg based labelcrew like Timo Veranta, Avasono, or Adinalin. In addition, Johnny Vaz, Emiel van den Dungen, Mellowtron Jerzy spin, David Bucka, Luc Kaden and Morja contributed their work for the musically diverse compilation. 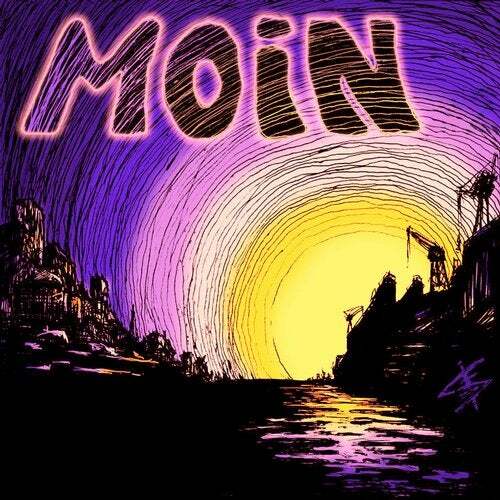 From deep and melancholic up to impulsive technoid sounds, Moin # 4 delivers a full range of various styles for electronic music lovers and a consistent selection of the different genres from the label.